Good evening, and welcome to Cannes, South of France which provided us with another challenging day………………..Mother Nature has got to stop eating beans because she was very windy again today.Once again as last cruise we had to stop the tender service from 11:45 am – 1 pm to position the ship in a safe area to allow the service to continue. The swells were not as large as last time but were still large enough to warrant this being done. This cruise however I was ready, I had staff in place ashore and we had forewarned everyone not to expect the tender service between the times I had announced on three occasions yesterday. Guess how many complaints I got?……………………………………….none……………..so well done to my fantastic staff and special kudos to Heidi who stood on the pier (any excuse to get a suntan) and organized everything from over there, the only complaint was this one……………….enjoy! Mr. _____ came to the Purser’s desk shortly after 2 pm to bring to our attention that he was very upset about the tender service stopping from 11:30am until 1:05pm. Purser explained that the cruise director had announced that this would happen the day before and that it was in the Capers. Mr. _______ said his complaint was that no food was provided on the pier for guests who were hungry. Purser explained that we were not allowed to take food of the vessel but the guest said that on another cruise on Celebrity that there was always a buffet of sandwiches on the pier in every port. Purser again apologized and guest left the desk. Incident sent to cruise director and hotel director. I admit that last week I could have and should have done better but often when these things happens you learn by your mistakes and this time I think we got it right. I did call the guest just now but he was at dinner. I sent him a note of apology and a B.L.T. So, today was the first full day for Mr. Cahill as our new President and C.E.O. There is a lot of excitement among the management, both ashore and onboard, and although change can make some people nervous we are all expecting great times are ahead of us. Here, is a letter that Mr. Cahill sent to all the shipboard and shoreside employees which I asked if I could share with you all. It is only appropriate that my first correspondence as President and CEO of Carnival Cruise Lines is directed to each of you, as I recognize that you are the heart and soul of Carnival Cruise Lines. First, let me tell you how proud and excited I am to succeed Bob Dickinson as CEO. Bob is a true pioneer in our industry, and he has guided this company to unprecedented heights during the course of his 35-year career. There is no question that he will be missed by all. Carnival has earned its enviable title as the world’s most popular cruise line by providing a high quality product at affordable prices, with attentive service delivered by helpful, hard-working employees. It is something that you should take great pride in, as you have brought joy to millions of people’s lives and helped to create memories they will remember for a lifetime. I hope to build upon these traditions and will rely on each of you, both shipboard and shoreside, to help our company maintain its leadership position within our industry. For the last 13 years, I have worked at Carnival Corporation & plc, Carnival Cruise Lines’ parent company, the last nine of which I have been Chief Financial Officer. During this time, I have not only worked very closely with Carnival Cruise Line’s talented management team but have also become a huge fan of “Fun Ship” cruising, sailing aboard the Carnival fleet on a dozen occasions. In the highly competitive travel industry, there are numerous opportunities and challenges that lay ahead. I look forward to working with all of you as we move forward to achieve our company’s goals and continue to help make our company the best it can be. More about Mr. Cahill shortly. Let’s have a look at some photos from the last few days. 1. 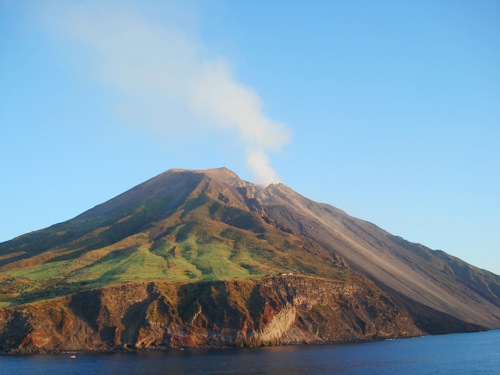 Stromboli from three days ago. And now the answers to the last Anagrams. And now, here is today’s “In Their Own Words Section. 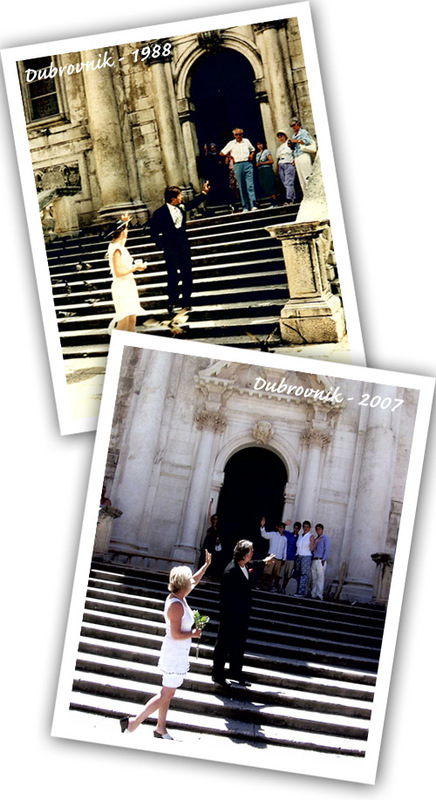 Let me just add that the guest wanted to re-create his wedding photo from the steps of the Dubrovnik Cathedral from 1988……….and he did. OK, AND NOW A huge APOLOGY FROM ME. It has been a busy few days and I am so behind in the Q & A department. I see that I have 76 to answer and therefore, in order for me to get caught up I need your permission in advance to just for today’s blog and only today’s just to answer the postings that have actual questions about cruising in the next few weeks or friends that need specific help. I really am mad at myself for getting so behind and if I don’t mention yours please do not be offended. I have read each and every one I promise you and starting with the Hail To The Chief posting and from the next blog I will go back to answering and commenting on every posting………………please again forgive my tardiness and normal service will be resumed from the next blog. Here we go with a few questions answered. CAPTAIN CHUCK – I saw the article that you, Carol and many others mentioned where I was referred to as a REFRIGERATOR. I have to admit to being pretty pissed of about this comment (that’s a bad word but it was how I felt at the time) however I have to admit that since then I have just laughed at the reference. A good friend of mine told me that there used to a professional footballer who played for the Chicago 49ers or something like that called William Perry whose nickname was “The Fridge.” My friend has now taken to calling me the same and unfortunately so has Heidi…………..in fact, she just did and I replied that I would need defrosting but she said I would have to wait until Thursday. Anyway, the article itself was very good but I guess I shall have to be called the Fridge now for a few days…………..actually I am on a diet so hopefully I will soon be called The Minibar. Anyway, thanks to all of you for your concern and don’t worry, you can’t be in the profession I am in and not expect the press to write what they see…………..
CROWN GOLFER – Hello mate. I saw your comment and that you were from the part of the U.K. that has experienced serious flooding and just wanted to make sure you family and your home were OK?………………please let me know. Your question was about the Fountain Fun Card. This is available for purchase from any of the bars and yes, the kids will have unlimited soda so they should be happy bunnies. See you in August mate. PAUL F. PIETRANGELO – How are you Sir? You asked about having a dinner with a MASK Theme. This is a wonderful idea and we are already starting that here on the Carnival Freedom with our Venetian Mask Night and hopefully we can start encouraging people to wear the masks at dinner as well. Let me try and I will let you know how it goes. If successful, I think this may be fun to do elsewhere. Now, Paul has also brought up the question of certain types of lighting bringing on epilepsy and should he be concerned about this on our ships. Paul, as far as the lobby lights are concerned here on the Carnival Freedom I can tell you that they change color very slowly and that applies to all our ships. 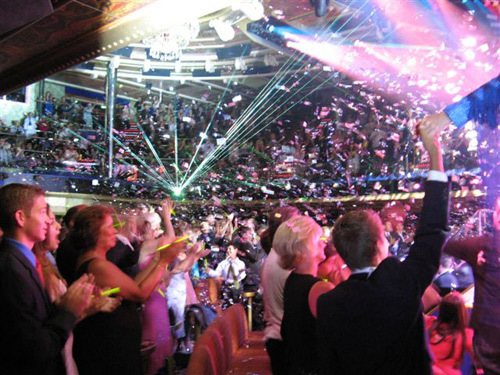 However, we do have very quick light changes including some strobe lighting in our shows. Do we have warnings about this you ask, not yet………………let me ask ROGER BLUM what his thoughts are about if we should include this in our programs as I am sure he and our legal department will give me the correct answer……………….Roger? I will be back to you soon on this mate. As always, we send our best wishes to you and your wife. FREDDY BEACH – Just to follow up on your question about exchanging money onboard I can tell you that there is NO commission charges on cashing travelers cheques (spelled correctly ) on board so that is a good thing to purchase before you get here. There is a 5.5% commission charge for cashing personal cheques though. Hope this helps Freddy and I will be here if you need any further advice. SUE GROHOL – Continuing on the money theme, Sue asked about Dubrovnik and the local ATM machines. They do indeed pay out the local currency of KUNAS but not Euros. 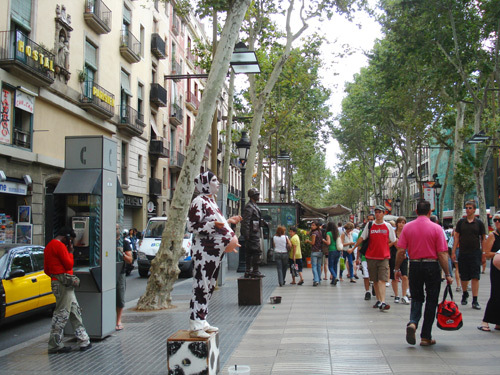 Most stores, shops, etc take euros even though that it is officially illegal to do so. Anyway, thanks as always for your questions and comments and I will write more to you soon. JANFRWR – Hello Janet. 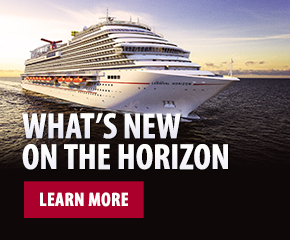 Congratulations on booking the inaugural cruise of the Carnival Splendor and I see that you are as excited as I am. Your question was about the naming ceremony and if you could attend. Now, I do not know on what date the ceremony will be, however if it is on the day of sailing then I would expect the ceremony to be late morning or early afternoon. We did a similar event on the Carnival Leg End and that was on the same day of the inaugural sailing and at around that time. Personally, if you want to watch the event then I would leave the morning and afternoon free and come aboard as early as possible. I hope the ceremony will be done on the pierside as appose to in the ship itself as I think the atmosphere is always more exhilarating that way. I really want to hire the WELSH GUARDS OR COLDSTREAM GUARDS BAND for this event and as on the Carnival Leg End guests can stand on the ship and look down to what is happening. As soon as I know more I will of course let you know. NC BRIAN – Great comments mate and I shall ignore the size one for now :). Let me answer your question about which of the European cruises to take as you cannot seem to decide. This is a very difficult question as it comes down to personal choice. Can you let me know a little more about yourself and family and what you like to do on vacation? Do you love sightseeing and active tours that will allow you to see historic sites up close and personal or do you prefer quaint towns, villages and beaches. Let me know more about you and then I will hopefully be able to point you in the right direction………………..I should be a travel agent. 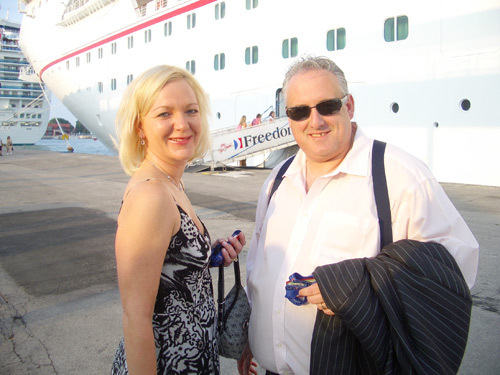 KEVIN AND HEIDI – BETH – I see we have another Fish and Chips fan…………..brilliant choice and yes, the Carnival Glory does have this wonderful outlet on Deck 10 aft. The fish and chips are very tasty and hopefully will be good as the ones you are used to in Massachusetts. The best fish and chip shop in the world however is in my home town of Southend On Sea and is called THE FRYING PAN where, every Friday my dad has fish, chips and mushy peas…………I will as an English Blogger to describe that delicacy. Bon Appetit. JAMES EMM – I am so sorry mate……….The DVD is in my drawer here in the office. I have your address over there in the desert and I will mail it from Livorno tomorrow………please forgive my tardiness. DIANELLA – You asked for a meet and greet for your group of 25 people for your cruise in September. I will be happy to arrange this. Please ask me again 2 weeks before you sail and I will arrange the time and place. See you in September and don’t forget to write. THE JOHNSTON 4 – The tuxedo rental is $85 for the cruise. Personally, if Mr. Johnston has a business suit then is more than fine, however the tuxedos are there should you need them. Unfortunately we do not have children’s sizes although that might be worth looking into. Hope this helps. BRYAN – hello Bryan and thanks for asking about the Mini Golf. Yes, you will be happy to hear that these golf courses are indeed on some of our ships, not just the Carnival Freedom and the plan is to provide this fun activity fleetwide soon. The big screens are also something that we are looking into and more will follow on that shortly when we interview Roger Blum. Thanks for your questions and comments. JOHN AND SUSAN IN FRISCO – Hello you two, hope you are both well. You asked about booking a hotel in Rome and my recommendation for a specific venue. Personally, I like the Visconti Palace which is a very reasonably priced four-star hotel and in a great area. Heidi and I have stayed there and enjoyed the service etc. We also stayed at the amazing five-star Excelsior Hotel which is located on Rome’s famous Via Veneto. We had one night of heaven in an amazing room and the views across the American Embassy were stunning. Obviously this one is more expensive but worth every penny. Here is the web link thingy. Don’t forget that Carnival can arrange hotels and transportation for you as well. So, lots to think about and let me know should you need more help. BILL ZYDECOCRUISER – Hello mate and thanks you for your continuing support about New Orleans. Let me ask Terry Thornton about the future deployment of ships to the Big Easy. I know Carnival Cruise Lines wants to continue its support of your hometown and I will try and give you an insight as soon as I can regarding the possibility of additional ships deployed there. Stand by for that. KATE – Please go to http://www.carnivalentertainment.com/ and read about the position called Entertainment Staff. Then, you will find a link to send your resume to and please mention on your cover letter that I pointed you in this direction. If you have any other questions about the job itself, please let me know. 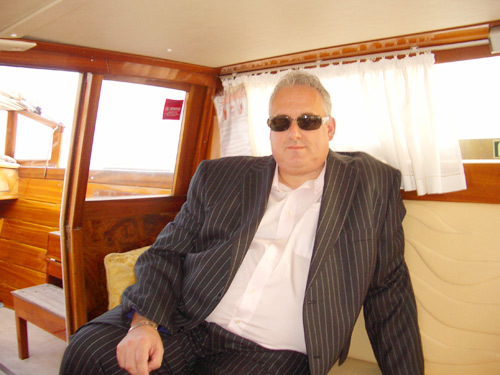 ESSEXMAN – Do I still want the Walkers……………..YES………………….but Heidi says no carbs, so………………..NO. Thanks though mate and the newspaper will be gratefully received. Do you like Mushy Peas and can you tell everyone exactly what they are please? Cheers mate. 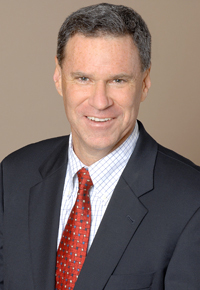 KURT BENNER – Kurt, just let me know what day, time and for how many people and I will make all your supper club and spa reservations for you. I can even have a porterhouse steak served to you while you are having a massage. Let me know ASAP and I will take care of you. Thanks. Anyway, please let me know your last name and or cabin number just to add to the reservation. LINDA HERNACKI – Linda, I saw that you are asking about e-mailing something to me. I am sure you understand that I cannot give out my personal e-mail address as I would not be able to cope with all the emails and the blog. 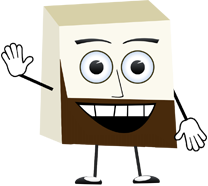 However, if you have something of a personal nature to request and you do not want it on the blog, please just start your posting with JOHN…..PERSONAL. Roberto who manages the site so fantastically will then forward to me and I will reply through him as well. Hope this helps. More importantly, how is Joshua and Mum doing as Heidi and I have been thinking about you. Please let us know and best to Mike. CINDY – We have asked the Vatican if we can run the Private and Exclusive tour on the 22nd of July and I will let you know ASAP. Thank you for your offer of clothes for the orphans but I think after the three huge boxes we gave them last week they should be OK for a while and I also now that flying trans-Atlantic allows only for limited luggage. Thank you though for your kind offer and just knowing that you have been thinking about the kids means a lot. GCCOURINGTON – A very good question….”how many people do suffer from having their pockets picked every cruise.” Well, let me say that there has not been one cruise I know of since we started European sailing that I have not heard of someone falling foul to this clever but despicable people. Although we don’t keep record as such I can tell you that this cruise I personally know of five guests who had this happen to the. Two in Rome before the cruise started, one in Barcelona and one in Venice right on the Realto Bridge. This is why I keep passing on all the advice I do as I am determined to eradicate this completely as far as it happening to our guests on the Carnival Freedom. Hope this answers your question and I to have mine picked every time Heidi sees a handbag. LISA K – Great comments and a great posting. How brilliant it was to see Todd’s name and of course Graham Seymour who now works for Princess Cruises, both amazing cruise directors. A special thank you to you and your parents for the words of kindness and appreciation for me and I hope soon we can do it all over again. Let me answer your questions. 1. Why doesn’t Carnival offer a 15-day roundtrip Hawaii cruise from the West Coast? I ask because my parents refuse to fly, and it’s much more convenient to fly round trip to the West Coast (i.e. LA or San Francisco) than to have to fly one way to or from Hawaii and the other way to or from the West Coast. I have no idea but it sounds like a good one. I will pass the suggestion up to Terry Thornton who along with a few other people decides on the ships itineraries. Let’s see what he says. 2. Why doesn’t Carnival cruise out of Baltimore anymore? The one spring it did cruise out of Baltimore, I understand it was a very successful departure port. Again, I have no idea but I know a man who might so leave it with me and I will return with answers. Thanks again for the long posting you slapped on, it was great reading. My best to you and your parents That is most of the questions answered. Please do not be mad at me if I did not complete my usual replies to your comments. I will make up for this I promise starting with the next blog and those postings starting from the HAIL TO THE CHIEF posting. I just needed to catch up and if you did not see your name there please don’t think I am ignoring you……………..especially the usual suspects, Big Ed, MTSFP, Jo, Matt and Viki, Carol, Kersplott, Kevin, James, Kathy, Sherrif, Southern Dreams, etc, etc, etc. It won’t happen again. OK, now I have finished groveling, what’s next? I see someone counted that the last blog had 6,039 words in it………..thanks to the very bored Jenn for taking the time to count them…………are you an accountant? Seriously, thanks Jenn and it does seem therefore that I have probably typed out 600,000 words and all with two fingers! Let’s also address the interview with PA 007. It seems that one or two of you doubt his/her existence so let me write this promise which I swear upon the Bloggers Code is true. 1. PA 007 IS REAL………………IT IS NOT ME USING ANOTHER NAME………….IT IS A REAL LIVING, BREATHING PERSON. Some of you seemed concerned that following the interview that his/her secret identity would be easy for PA 007’s boss to work out. Let me tell you that I did add in the interview some counter intelligence, e.g. ….did PA 007 really put the notice about the office pool up and collect the money or did I add that to throw everyone off the scent… or, is it true? I can tell you that PA 007’s Boss who we call “M” has no idea what PA 007 gets up and if M did know I am sure she would revoke his license to thrill. So, for now, please do not worry and because of the success of this blog I have a feeling that M and the others will turn a blind eye for now. PA 007 is reading this and the dozens of comments of praise he received in the last blog and I am sure is sitting in his/her cubicle feeling a very special agent indeed. SO, ITS TIME NOW WHERE I PROUDLY PRESENT A MAJOR SCOOP…………………..HOLD THE FRONT PAGE (I always wanted to say that) because here are the answers to the questions I put to the man who has the best job in the world of cruising……………Ladies and Gentlemen, please give your warmest welcome to our new President and C.E.O., Mr Gerry Cahill. 1. Gerry, you are now the President of the World’s Most Popular Cruise Line. Simple question to start then, how do you feel? This is what you dream about. To be given the opportunity to head the most successful cruise line in the world is truly an extraordinary opportunity. I’ve said for years that I had the best job in the world as CFO of Carnival Corp and plc. Turns out I must have changed my mind. CFO of Carnival Corp is now the second best job in the world and CEO of Carnival Cruise Lines is the first. During my years at Carnival Corp., I have had the pleasure of working closely with many of the people at Carnival Cruise Lines and I am inheriting both a fantastic team who I know will help me greatly, and a remarkable vacation product. Having said that, I wouldn’t be human if I wasn’t a little nervous following the most high profile person in the cruise industry. 2. Please can you tell us something about your background in the industry from the start of your professional career to where you are now? I joined Carnival Corp. in 1994 as vp finance. I became senior vp finance and CFO in 1998 and in December 2003 my title became executive vice president and CFO of Carnival Corp & plc. During that time I’ve had the opportunity to be part of the incredible growth of Carnival Corp, including the acquisitions of Cunard, Costa and P&O Princess. My job included overseeing all of the finance, accounting, treasury, insurance, casino operations (my one operating responsibility of which I am very proud) and investor relations functions. Prior to Carnival Corp, I worked for Safecard Services, (a NYSE-listed company that sold simple services) as CFO and then COO and before that I spent about 10 years at Resorts International, a casino/hotel operator, plus six years at the accounting firm Price Waterhouse. In doing the math for all the years I just described, it seems like I must be really old. 3. There will be plenty of time to talk about the past and the incomparable attributes of Mr. Bob Dickinson but for now let’s talk about the future of this one of a kind company. What do you think are the most important tasks that await your new position and what direction do you intend navigating us towards. My main job is to keep building on the success that Bob and the CCL management team have achieved. There is no point in changing the direction of a company that has been this successful. Providing fantastic, fun vacations to millions of people at affordable prices strikes me as right on target. So, as I see it, my charge is to continue to build on Carnival Cruise Lines’ success, continue to improve the product, and to try and get the message out about how great a product a Carnival cruise vacation is. 4. This I know is one of the first interviews you have undertaken since the announcement was made and I am sure the next few weeks will be a busy but rewarding time for you. What are you most looking forward to? In the near-term, I am particularly looking forward to engrossing myself in the operational aspects of the business. I have always found the operations side of the cruise industry fascinating. My background being in finance, I can tell you that most finance guys have a dream of running an operation so for me this is something I am really looking forward to. 5. Someone asks your advice on a cruise vacation. They have never cruised before and would like you to explain why cruising with Carnival is the best vacation choice. What would your answer be? Coming from Carnival Corporation, I have sailed on several cruise lines but the one I have sailed on most frequently is Carnival Cruise Lines. When it comes to family vacations, Carnival has always been my family’s favorite. Of course, cruises in general have so many advantages over a land-based vacation when it comes to convenience. You only have to pack and unpack once, you don’t have to worry about finding restaurants everyone will be happy with, and you’re able to see a variety of fantastic destinations and then return to the comfort of the ship at the end of the day. 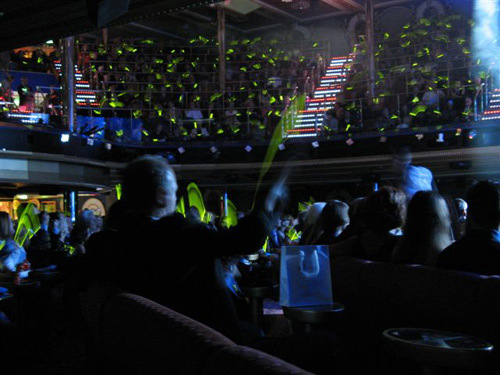 But what makes Carnival exceptional is the one-of-kind atmosphere on board. It’s genuinely fun, convivial and relaxing. 6. Your family must be so proud of you and I am sure they will be by your side (especially now they will receive get free cruises 🙂 so what can you tell us about them and what do you like to do when you relax. I have a wife, Isolde, along with two daughters, Erin and Kirsten, who are both grown. Erin lives in London and works for the accounting firm of Price Waterhouse Coopers. Kirsten is in Tampa and works in marketing. Isolde and I live in a rural area west of Fort Lauderdale, along with six cats, two dogs, about 500 fish and a lot of birds. We’re very active and I like to play tennis, bike ride, swim, etc. My wife is very into running. The embarrassing thing is that, although I’m reasonably fast, I cannot come close to keeping up with my wife or our daughters. They’re all exceptionally fast distance runners. My daughters both love Carnival and continue to vacation on Carnival now that they’re grown and living on their own. You definitely don’t want to suggest to them that they can now get free cruises! 7. The rest of the questions will if it’s OK with you be of a more informal nature in keeping with this blog so ………………here we go. Let’s get to know our new President as he answers these fun questions. Definitely beer – supplemented by Scotch. Pasta. My wife’s a vegetarian. I’m not but since she is I end up eating a lot of pasta and vegetables. Ummm – either one would be fantastic. 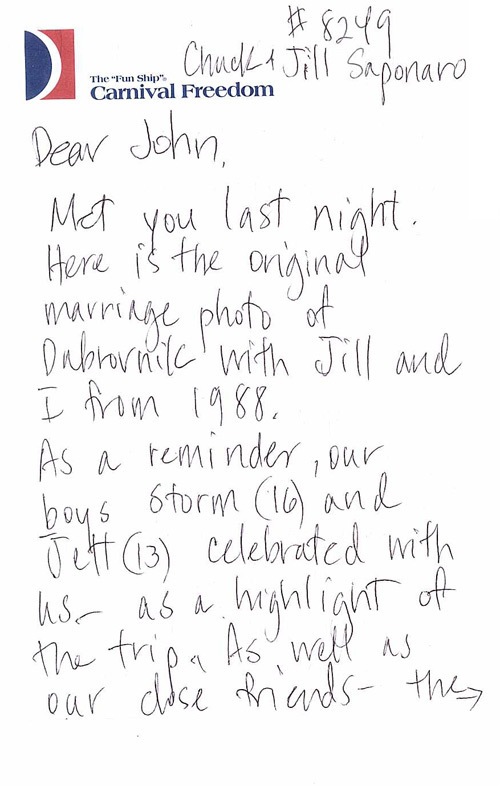 John, you do have good taste in godmothers. 7. Are you going to continue the tradition of buying an Aston Martin DB9 for every Cruise Director who writes a blog and has a wife called Heidi? I wasn’t aware of that tradition. 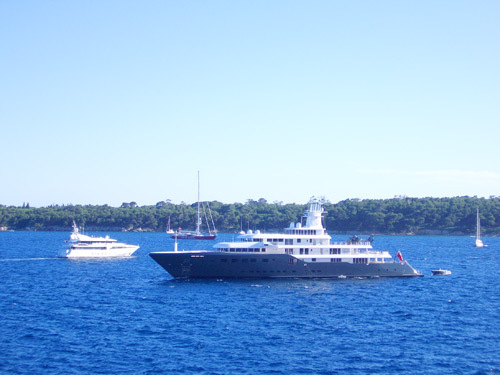 Maybe when the company starts supplying them to CEO’s, cruise directors will be next in line! Mr. Cahill, I could have asked so many more in depth and specific questions but I know the following days will be a whirlwind of interviews, meetings and so much more. Therefore, I want to say a huge thank you to you for taking the time to chat with us on this blog thingy and we all wish you success and happiness in the exciting days ahead. Please come and sail with us here on the Carnival Freedom, it will be an honor to shake you hand as you hand over the keys to my Aston Martin. Finally, let’s chat about me. What I actually mean is let’s chat about my vacation. It seems that everyone wants the blog to continue in some way or another during my winter break and I can tell you here and now what is going to happen. 1. I will be blogging three times a week from home. I will answer the usual questions as best I can as well as sharing continuing stories from both my time at home and at sea. 2. Carnival is providing me with a Rasp Berry to help with this. 3. The blogs will also include many GUEST BLOGS made up of other Carnival people and some of the usual suspects from you guys out there in blog land. Most importantly, I will need a vacation badly but the blog must continue especially as we have the bloggers cruise in January. They may be less frequent and you may be bored stupid with reverting stories about what I had for breakfast or what my mate Alan Adkins is up to but I do promise you I will do my best to blog while assuring I rejuvenate myself for the following year of fun. BESIDES, HOW ELSE CAN I SHOW YOU THE PHOTOS OF MY NEW ASTON MARTIN DB9? Pat mentioned about me carried of stage in a straight jacket on the Carnival Destiny. Yep, that’s true. I had just finished my Debarkation Talk and as usual all the staff and crew walked from the back of the room for the parade of nations. I remember looking up and seeing that unusually the security staff, nurses and ship’s doctor were also in the line of crew but I just carried on with my usual waffle. Once everyone was on stage I then introduced the Captain, Giovanni Gallo, who came out and said his thanks and goodbyes. Then, he mentioned that I was leaving after 13 months onboard! He also stated that I had worked so hard that they were worried about my health and then, on cue, the four burly security guards walked forward, threw me to the floor and put me in a straight jacket. I was then hoisted onto a stretch and carried head high like a mad Roman Emperor through the lounge to the cheers of the audience. They carried me all the way down to the infirmary, where I was unceremoniously dumped on the floor so that various staff and crew could come and have their photo taken of the fat bloke in a straight jacket. Anyway, I think its time for lights out, its 12:36 am and Heidi is now saying come to bed or I will be in deep trouble………………..I was earlier today when I told this joke on stage. I said that I had staggered into an emergency room with two black eyes and a five iron wrapped tightly around my throat. Naturally the doctor asks him what happened.